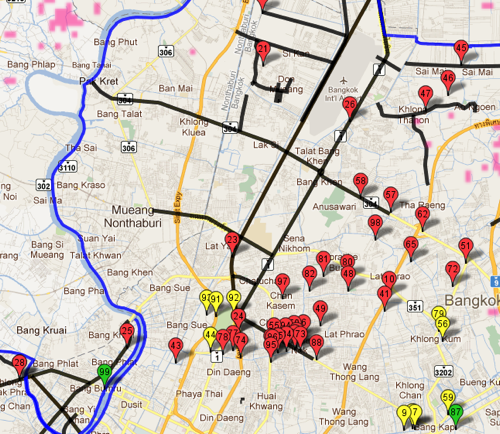 The northern sections of Bangkok continue to be the hardest hit. Some MRT (subway) and BTS Skytrain stations are being monitored as waters draw near, but so these networks continue to operate normally. Thailand’s international airport, Suvarnabhumi, is still functioning normally. Don Muang airport remains closed, but most domestic flights are now going through Suvarnabhumi. As promised, here are some images I snapped yesterday during an outing to search for a suspected crocodile in the Ramintra area of northern Bangkok. 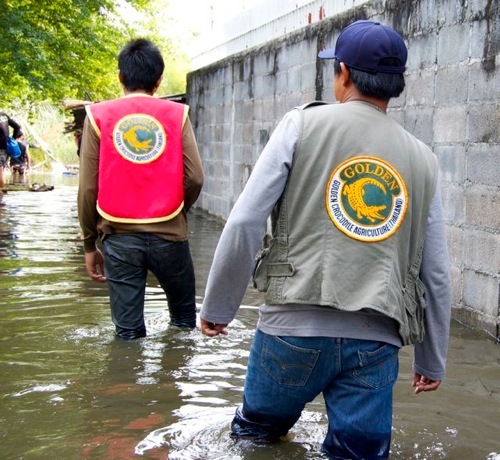 Officials at Thailand’s Fisheries Dept. received a call from residents there saying they had seen what appeared to be a crocodile eating two of their chickens. So the croc experts set out to investigate. 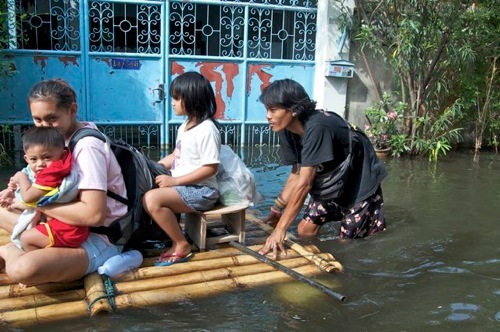 These images show the extent of the flooding in this part of the city. You can see all of the photos in this Flickr set. I was impressed by the diligence and good humor that the workers displayed, and I thought that the residents were remarkably upbeat given their difficult circumstances. 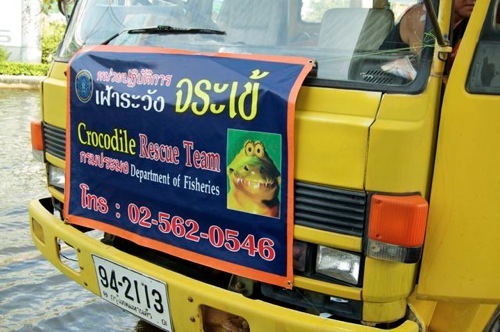 For the record: No crocodile was found, though the officials left some traps baited with raw chicken just in case. 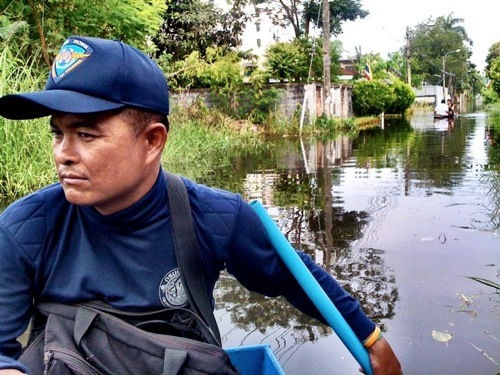 Thai economic forecasters said floods that have swamped factories and displaced millions over the past month may crimp gross domestic product growth this year to as little as 0.5 percent if all of Bangkok is inundated.